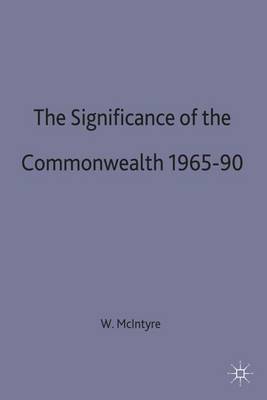 This book takes a new look at the Commonwealth from the founding of the Secretariat in 1965 to the 14th Commonwealth Games in 1990. The book is divided into three parts. Part 1 looks at origins, the Heads of Government Meetings, the Secretariat and the Commonwealth in a global setting. Part 2 covers race, Africa, inequalities and the security of small states. The final part, on Functioning, looks at regionalism, functional organisations, professional linkages, peoples, sport and the role of the Queen as Head of the Commonwealth. It concludes with an 'Agenda for the 1990s'.